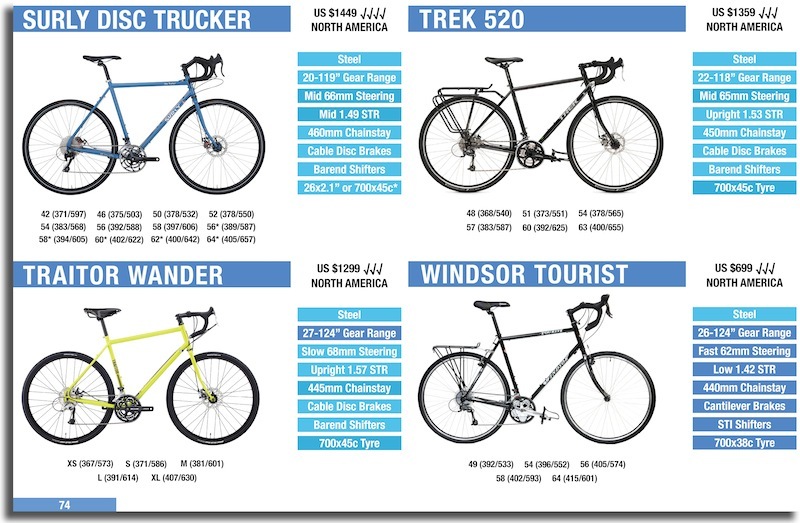 With the adventure category of bikes really taking off, Specialized has been working hard to make sure they hit every niche. 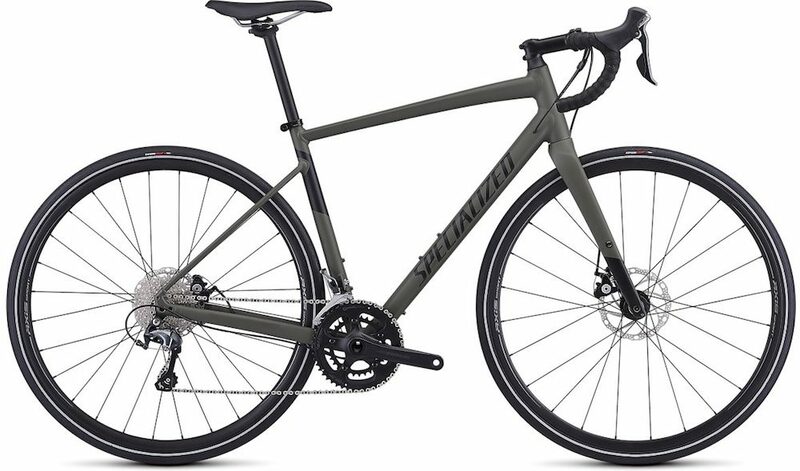 The Specialized AWOL is the bombproof long-distance touring rig and the Specialized Sequoia is the capable light-touring bike. But what if you want to pack light and stick mostly to the main roads? 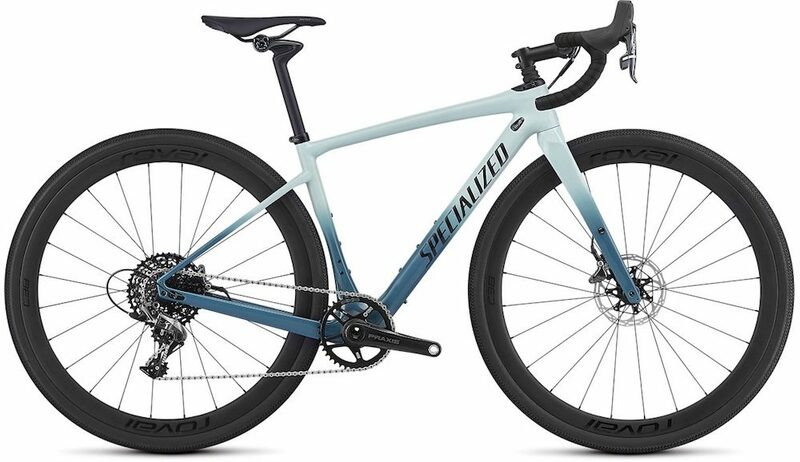 The 2019 Specialized Diverge may just suit you best. The Future Shock continues to be available on most Diverge models. This small shock absorber located below the stem offers 20mm of travel and is designed to isolate both vibrations and larger hits. A new progressive spring ramps up through the travel to suit gravel roads. All Diverge models have front and rear rack capability, along with mounting points for full fenders. The maximum tyre size on the carbon frame is 700c x 42mm or 650b x 47mm. The aluminium frames allow for 700c x 38mm. There’s a third set of bidon mounts under the downtube; the two inside the frame use the 3-boss system so that you mount cargo cages for extra water or gear storage. There are four different levels of Diverge frame, which are the same as the previous model year. The premium Diverge S-Works has its own ’10R’ carbon layup while the rest of the carbon models share the same ‘9R’ carbon layup, all with the Future Shock. The top aluminium model (the Comp E5) features the Future Shock, while the rest of the aluminium models share the same aluminium frame and fork, albeit without the shock. You’ll find the carbon frames all use BB386EVO press-fit bearings, while the aluminium frames use threaded bottom brackets (!). Let’s take a deeper look at the range and what each Diverge model can offer you. 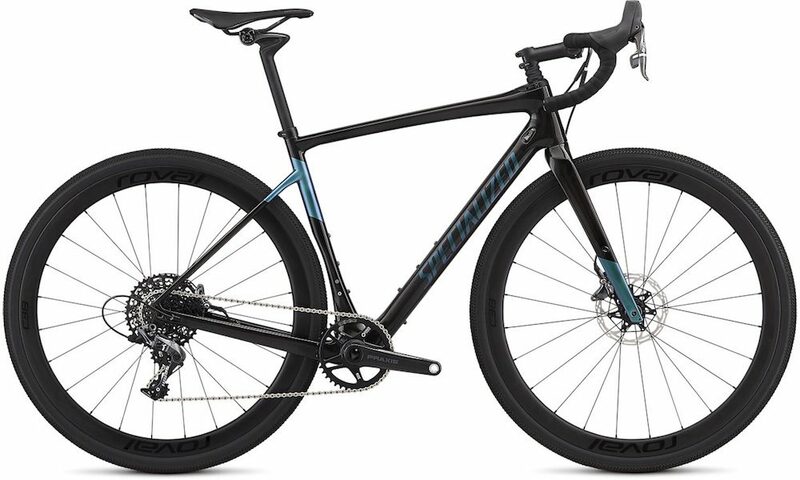 The 2019 Specialized Diverge S-Works. Specialized’s flagship bike is the Diverge S-Works. This is a different frameset in terms of carbon layup and resin (called 10R) but it still shares the same frame geometry as the other carbon models. Specialized have matched a Di2 road shifter with an XTR Di2 MTB derailleur to fit a larger cassette on the bike, and you could go to 46t if you needed the extra climbing gears (the current small gear works out to be 27.3 gear inches). A 35mm dropper seatpost has been fitted to the S-Works with a handlebar-mounted remote in order to reduce your centre of gravity on technical descents. Carbon Roval wheels (1350g!) and carbon Easton cranks, as well as a SWAT box (tube, co2, levers and multitool) complete the build and result in a weight under 8kg (17.6lbs) without the SWAT toolbox (56cm). The S-Works Diverge is available as a cool camo frameset for US $4000 or you can get the complete bike for US $10,000. 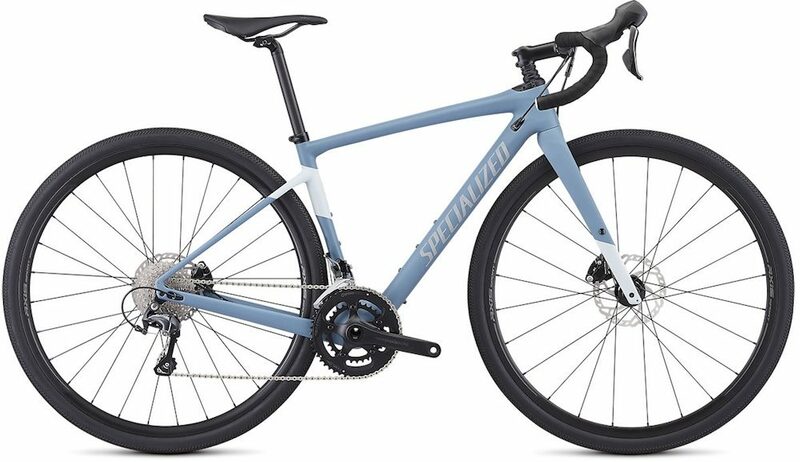 The 2019 Specialized Diverge Pro. The Diverge Pro is an all-new model for this year. It uses the more cost-effective 9R carbon layup like the rest of the Diverge models. Like the S-Works, the Diverge Pro has electronic gearing. On the Pro is a 2x Ultegra Di2 drivetrain which has the same climbing gear ratio (1:1) as the S-Works but you have more top-end gearing thanks to that front 48t chainring (at 100RPM it’s 57km/h instead of 47km/h). The Roval carbon wheels are a notch down, hitting the scales at about 1500 grams. They use DT Swiss’s ultra-reliable ratchet hub system. You can expect the Diverge Pro to weigh in at about 8.3kg (18.3lbs) and cost US $6700. The 2019 Specialized Diverge Expert X1. The 2019 Specialized Diverge Expert X1 Womens. The Diverge Expert Carbon is a 1x bike, employing SRAM’s Force1 groupset to achieve a 40-42t climbing gear (26 gear inches). For 2019, the Diverge Expert gets a Roval carbon wheelset as opposed to the aluminium wheelset of last year, however, the price has been adjusted to match. For the tall folks, the Expert is one of the only models made in XXL size (64cm). You can expect the Diverge Expert to weigh in at about 8.5kg (18.7lbs) and cost US $5000. The 2019 Specialized Diverge Comp. 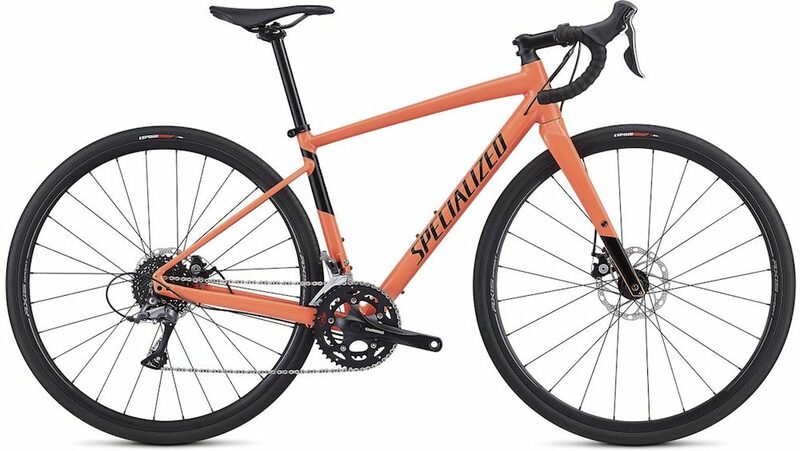 The 2019 Specialized Diverge Comp Womens. The Diverge Comp Carbon is spec’d with a Shimano Ultegra 11-speed groupset and Praxis Zayante cranks and 48/32t front chainrings, offering a 26 gear inch climbing gear. It comes with the ultra-flexy CG-R carbon seatpost with built-in elastomers to maximise comfort. You can expect this bike to weigh around 9.0kg (20.5lbs). The Diverge Comp is the other carbon model available in the XXL (64cm) size and can be purchased for US $3600. 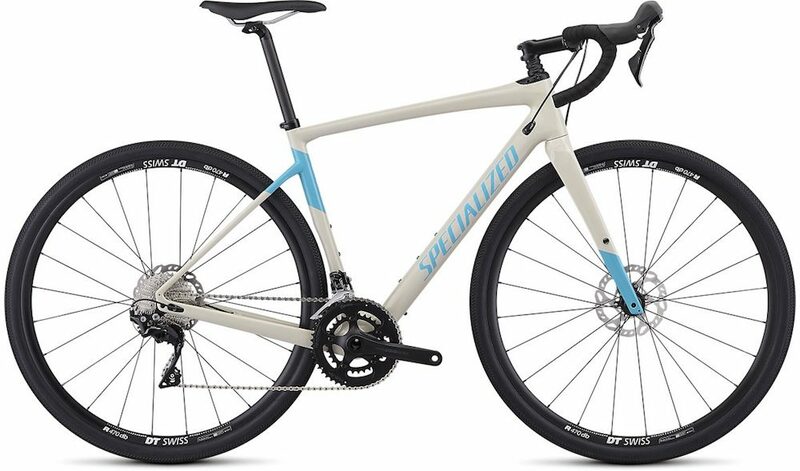 The 2019 Specialized Diverge Sport. The Diverge Sport Carbon is spec’d with a Shimano 105 11-speed groupset and Praxis Alba cranks and 48/32t front chainrings, offering a 26 gear inch climbing gear. This is the best-to-performance carbon model in the Diverge line-up. You can expect the Diverge Sport to weigh around 9.3kg (20.5lbs) and it’s available for US $3000. The Diverge is the lowest cost carbon model at US $2600. Costs are saved on this bike by using a 10-speed Shimano Tiagra groupset and a set of Axis Sport wheels. The sub-compact Praxis Alba crankset allows for a 26 gear inch climbing gear like the other models. You can expect the Diverge Carbon to weigh around 9.8kg (21.6lbs). The 2019 Specialized Diverge Comp E5. The best value-for-performance bike in the range has got to be the Diverge Comp E5. You’re still getting the 20mm Future Shock and Shimano’s midrange 105 11-speed groupset. This model employs the brilliant TRP Spyre cable disc brakes which are known to be the best cable brakes around. The Praxis Alba sub-compact crankset yields a 32-34t climbing gear (26 gear inches) and the wheels are the same as those on the US $2600 Diverge Carbon. All Diverge aluminium models come with 30mm wide tyres, presumedly so that they can be marketed as ‘capable’ road bikes too. Total weight is 9.80kg (21.6lbs) in size 54cm. The Diverge Comp E5 is the only aluminium model available in the XXL (64cm) size and can be purchased for US $1900. 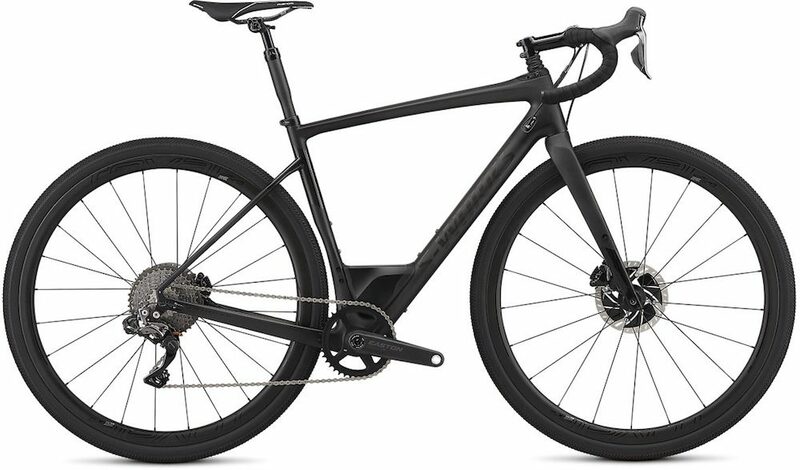 The 2019 Specialized Diverge E5 Elite. 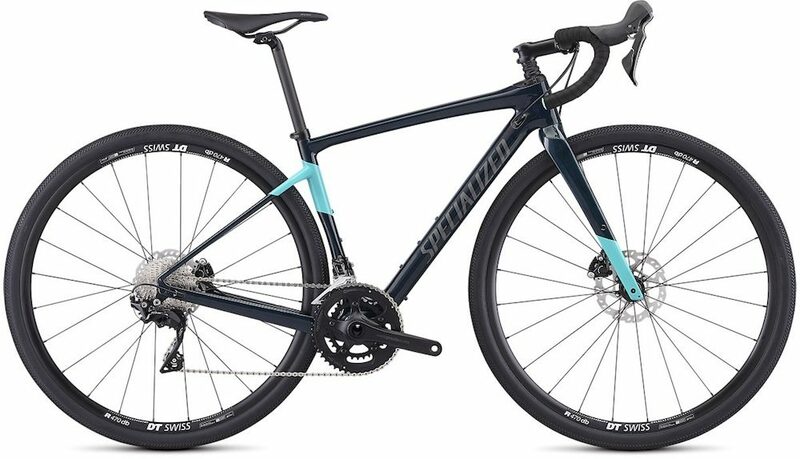 The 2019 Specialized Diverge E5 Elite Womens. For US $1400 you can get the Diverge E5 Elite which uses 10-speed Shimano Tiagra gearing to achieve a rather low 26 gear inch climbing gear. Despite being the most expensive Diverge NOT to have the Future Shock, the ability to run wide tyres will still make this bike a comfortable ride. The Diverge E5 Elite tips the scales at a touch over 10kg (22lbs). 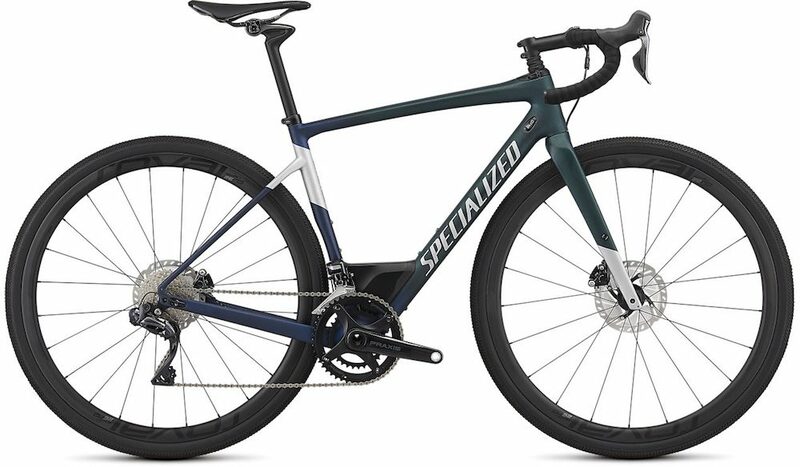 The 2019 Specialized Diverge E5. The 2019 Specialized Diverge E5 Womens. The Diverge E5 is still a killer bike for the price. 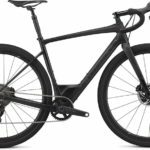 You’re getting a really capable frame and fork, a 1:1 climbing gear (26.8 gear inches), Claris 8-speed STI shifters and the same wheelset as the US $2600 Diverge Carbon model! Expect the Diverge E5 to weigh around 11kg (24.3lbs) and you can get your hands on one for just US $1100.